Come and say hi at the Allergy & Free From show this weekend! 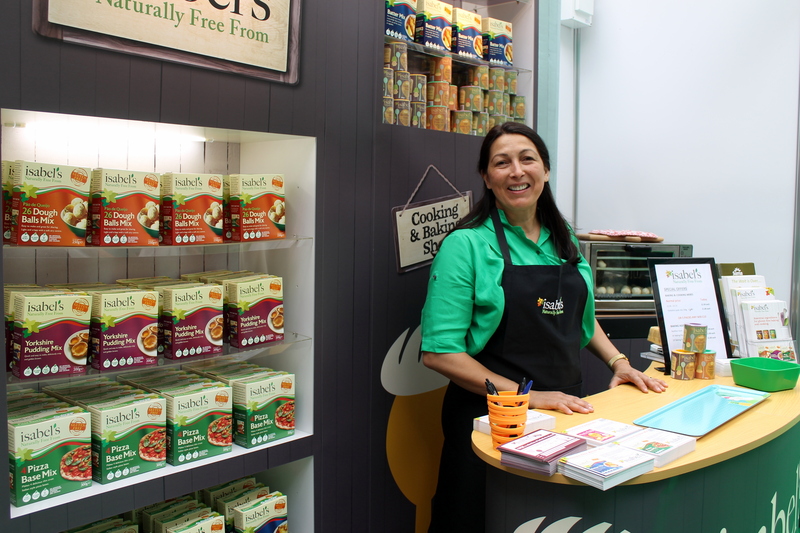 This weekend brings one of the largest Free From events of the year, the Allergy & Free From Show taking place in Olympia, London from the 4th to the 6th July. Over 200 exhibitors will be filling the aisles with allergy friendly food and drink, cosmetics, hayfever and lifestyle products. If you would like to register for free tickets to this event, please click here (if you go to the main page you will have to pay the standard rate of £7.50). Bring an empty wheely trolley or suitcase. You will find so many amazing products you want to try – and buy – and carrying plastic bags around is no fun whatsoever. Avoid Saturday lunchtime. Saturday lunchtime was by far the busiest time last year. The photo below does not do it justice! If you or your children have allergies, check before you put ANYTHING in your mouths. The show has a diverse range of producers, and along with the Allergy show there are 3 others exhibiting in the same place: V Delicious (veggie & vegan), Love Natural Love Organic and the Back Pain Show. Please don’t assume anything is gluten-free unless you’ve checked. This is definitely a pet peeve of mine, but if you have kids, please keep an eye on where they put their hands. Last year I saw so many children touching the samples. If they are touching many different products with many different allergens, they could potentially make people very sick. To be fair, this goes for adults too! Only touch what you are going to eat! Be mindful of those around you. I know you are all lovely people, but be careful as you’re picking your way through the crowds. Last year I saw several vulnerable people being shoved and jostled, and even people in wheelchairs being trapped in the aisles as no one would let them through. But to end on a positive note: don’t eat before you go! Not only are there samples galore, but there are plenty of things to buy to eat there and then – gluten-free pizzas, paninis, soups, you name it! I will be there and will come and say hi!